Gecco shares full details and images on their next Dark Souls statue: Kurokishi, the Black Knight. Faithfully recreated as a 1/6 scale statue, the Black Knight stands a towering 16 inches tall and features light-up LED eyes. 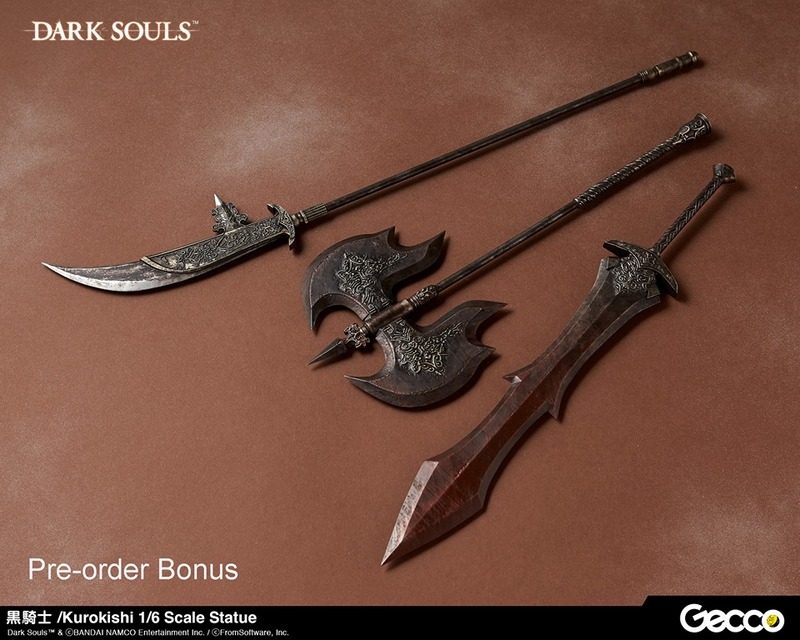 As an incentive to pre-order, the Black Knight statue will come with exclusive bonus weapons: Greatsword, Greataxe and Halberd! Pre-orders are open now, the statue priced at $469.99 and scheduled to ship between June-July 2019.